The due date to file Income Tax Return for the Financial Year 2017-18 is 31st July 2018. You must trying to figure out a way to save taxes this ITR season, that’s the reason why we will tell you some of the ways by which you can save taxes while filing ITR for the Financial Year 2017-18. Under Section 80C of the income tax act a taxpayer can claim up to Rs. 1.5 lakh per year, by making some investments that are eligible for deduction under this section. 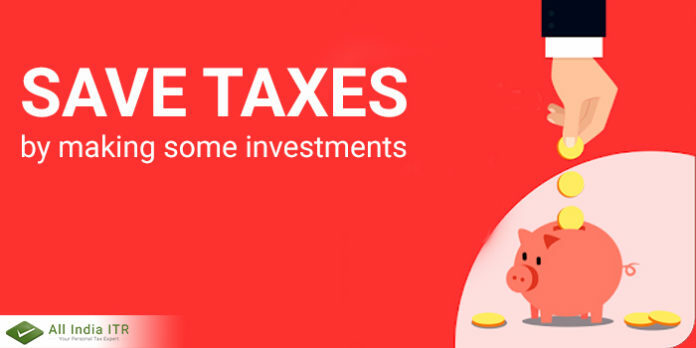 Some investment plans which fall under this section are premiums paid towards Life Insurance plan, repayment of the principal component of Home Loan, investments made towards PPF, NSC, ELSS, NPS, Tax saver FD, five-year post office time deposits, senior citizens savings scheme and Sukanya Samriddhi Scheme etc. If a taxpayer has invested in National Pension Scheme or NPS then in that case the taxpayer can claim additional exemption. You enjoy a maximum deduction up to Rs. 1.5 Lakh a year under Section 80C. You also claim deduction of up to Rs. 50,000 a year, under Section 80CCD(1B). When the taxpayer pays the premium for Health Insurance plans taken for them or their family members then, in that case, a taxpayer can claim deduction under 80D. Under this section, a taxpayer can claim a deduction of Rs.25,000 for the Health Insurance plans taken for himself or for his/her family members. If a taxpayer pays a premium for Health Insurance plans of dependent parents, then, in that case, you can claim a deduction of an additional Rs. 25,000 under section. If your parents are senior citizens, the amount goes up to Rs. 30,000 a year. Therefore, you can claim a total exemption of Rs. 55,000 a year if you pay a premium for self and parents who are senior citizens.